Go Destinations | "My destinations are maybe yours tomorrow"
We usually say this phrase “Tonight, I will go to bed early”. This phrase is always a form of promise but so hard to apply. Working, stress and distractions…. Equally elements that make the night shorter than what our body must have to claim. Sleeping answers to our physiological needs. In the last few decades, we have lost “an hour of sleep”, in average, sleeping only 7 hours while we should have slept one hour more. Holidays or a short break during a long weekends may help to avoid an eventually burn out. Another solution is to have a catnap and this may also comfortable and productive for the companies. In Asia, we usually have a break-time to have what they call “SIESTA”. Twenty minutes of break corresponds to “Two hours of productivity”, hence in additional. Well, from Lyon, you can easily find places, country sides to unwind your mind, body and soul from the noisiest and polluted city. With small as 138 euros, you can fly to Corsica and enjoy the crystal sea water of the Mediterranean sea. Or with less than 100 euros you can also walk on the famous French Riviera, at the promenade des Anglais in Nice. This all matters if you want to think for your well-being. Good luck friends. You're flying to Lyon ? 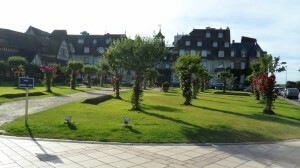 Deauville is a French town in the department of Calvados, lower Normandy, populated by 3,816 people; we call the residents in this town (the Deauvillais). IN 1060, Deauville old name was “Auevilla”, sounds so cute. This is considered, Normandy seaside town, with its casinos, villas classified, its racetracks, marinas, congress center, the American Film Festival, golf courses and nightclubs as one of most prestigious in France. It annually attracts thousands of tourists, including Parisians because of its relative nearby, about 200 km only. The town has an excellent reputation for its luxury resort worth it to be regularly frequented by many celebrities from cinematography industry, music, television, fashion, economic and lastly but not the least political sphere. 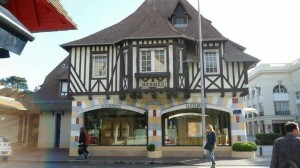 The Small towns surround Deauville are Trouville sur Mer, Touques, Saint – Arnaoult, Tourgeville. I love this town, its train station was so cute and clean. 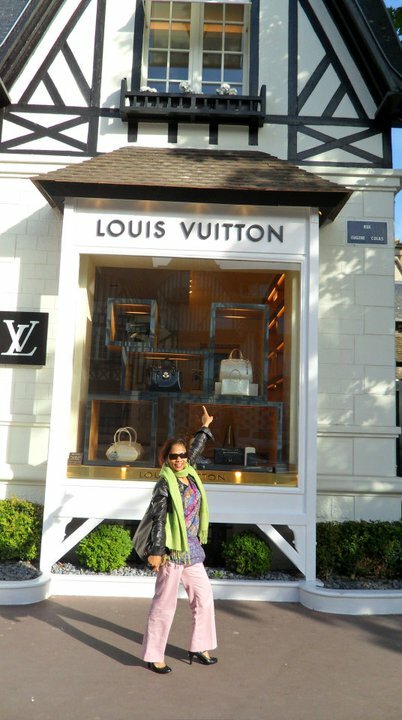 When you go shopping, the typical small houses for Louis Vuitton, Hermes as so lovely. It looks like you are not going to shop. The market place is so wide, everything into its harmony. Don’t forget the famous American Film Festival, it happens in the month of September per annum; go and walk to their famous “Les Planches“. A famous French comedy film titled, “ Nous irons à Deauville”, film by Francis RIGAUD in 1962; a bit oldie but funny. 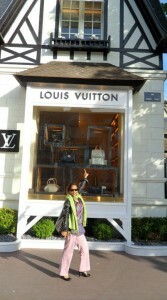 Take picture with your favorite actor’s name, hehehe. To conclude, surprisingly, you can eat well without ruining your wallet. Restaurants has a good quality valued. If you love Casinos, well you can do so and surely enjoy your stay. Now, every Friday, you can avail 50% off or more to these hotels worldwide. 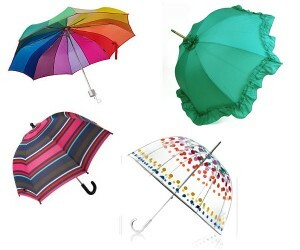 You can even avail until 70% off upon availability. Our hottest deals are in Manila, Cebu Philippines; Thailand, Indonesdia, Vietnam, China, Cambodia, Taiwan, Paris France, Nice France and in whole Europe. Find even more deals. Try it out, I have been using this, now I am availing high standard hotels in a very good rate. You will not regret it at all. For your kind information, with go, Budapest hotels on sale. There will be an extra 10% additional discount, please contact us. Book before November 25, 2013. Only usable via our insider deals, please contact us. Or you can simply check through the box at the left corner of this post. Hey buddies, I’ve been watching American series, from Prison Break, Desperate Housewives, Dexter, 24 Chrono, Sons of Anarchy, Call out of Duty and many more. You know what? When episodes shoot in Seattle, every now and then we often see rainy humid weather no matter what the season we are in the year. I am so septic about the weather in Seattle in autumn, can you share about it? Well, if you go and explore the neighborhood, always hand your umbrella, remain my tip to keep dry, hahaha. Well, are the hotels are fully booked? Remain a question to be answered. To feed my curiosity, I have browsed to check this out via www.go-destination.com, surpisingly; there are about 4 Google pages. Guess what? Price varies from 38, 48 euros, up going to 203, 367 euros, the most expensive is the area in Central Business District, hump. So, for your kind reference, just check with us to avail your hottest hotel deals.